Tsip Bato: Ang Bumangga Giba! 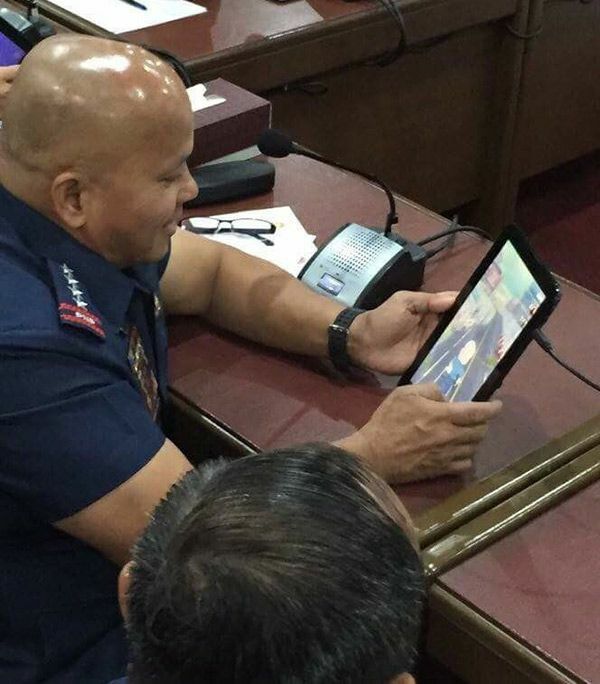 mobile game, which is based on PNP Chief Director General Ronald Dela Rosa's persona, is downloadable now. Cleanup the streets from criminals as Tsip Bato and El Presidente Du30! Patrol the roads and fight crime. Apprehend as many bad guys as you can while avoiding obstacles. This was developed in support of the Philippine Government's fight against crime and illegal drugs. In partnership with PNP Police Community Relations Group (PCRG), the team in-charge of PO1 Bato mascot and ‪Tatay Digong‬, Chief Bato, PO1 Makisig and Da Adiks Puppets. 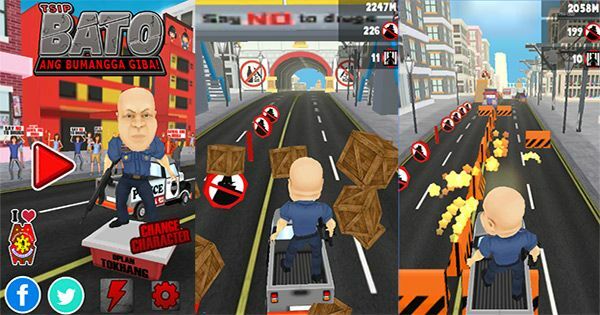 * Features the likeness of General Ronald "Bato" dela Rosa! * Features the likeness of President Duterte. * Shoot or run down criminals to apprehend them. Click here to download the game from Google Play Store. Tsip Bato: Ang Bumangga Giba! mobile game was developed by Ranida Games, an independent game studio based in San Pedro Laguna and the official game developer of the Philippine Basketball Association (PBA).